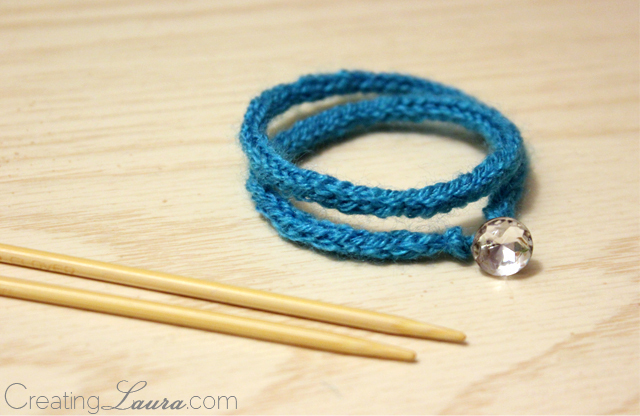 I knit myself a turquoise wrap bracelet with a pretty rhinestone button. 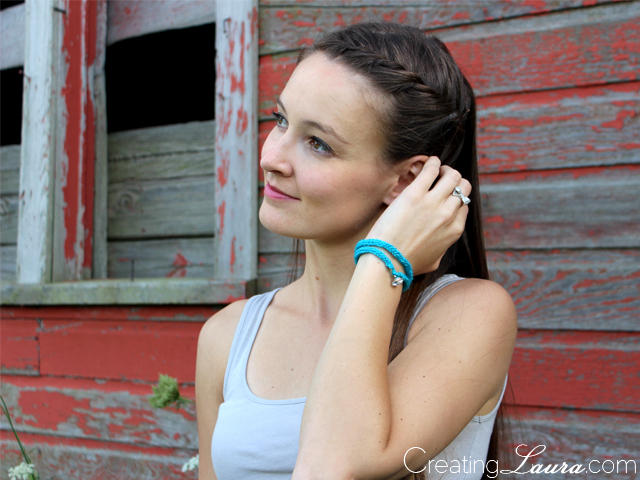 Anyway, let's get down to business about the bracelet. Bind off the first two stitches. As you bind off the last stitch, leave a loop large enough for your button to pass through, as pictured below on the left. 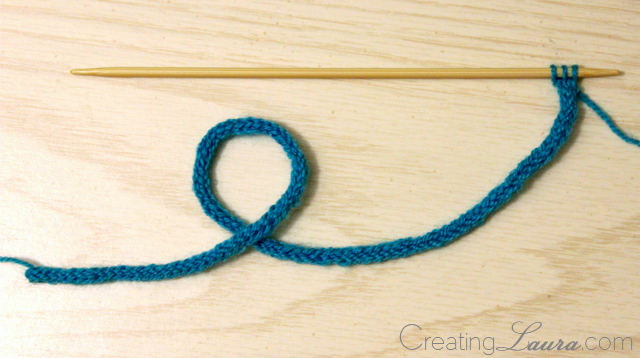 Tie a knot with the loop still intact and cut off the excess yarn. On the other side of the i-cord, thread the button through the tail that you left while casting on, tie a knot to secure it, and cut off the excess yarn. Pretty fun and easy, huh? 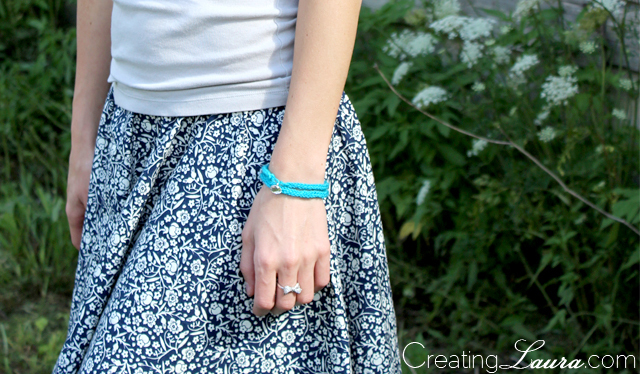 I wore my new bracelet to a party at my friend's farm yesterday, along with the skirt that I sewed. I love wearing things that I've made myself, don't you? 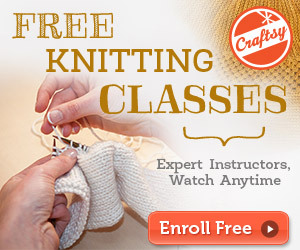 oh gosh I got to learn how to knit! Love your hair too! 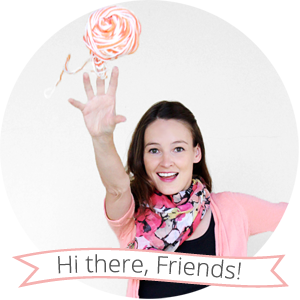 Could you do a tutorial?